Ecuador Says WikiLeaks' Julian Assange Has Asked President For Asylum : The Two-Way Ecuador's foreign minister said Assange was at the country's embassy in London. 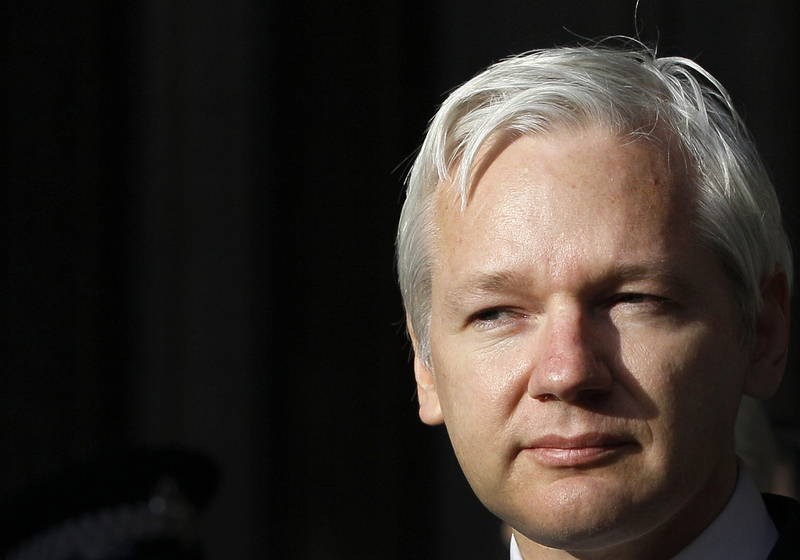 Ecuador's foreign minister says the founder of WikiLeaks, Julian Assange, has requested political asylum. Ricardo Patiño Aroca said on his twitter account that Assange had submitted his request at the Ecuadorian embassy in London. "The Ecuadorian government is analyzing his request," said Patiño. The Spanish wire service EFE reports that Patiño said Assange is at the embassy and made his plea in a letter to President Rafael Correa, making clear that he was under threat of "persecution." "The move comes less than a week after Britain's Supreme Court rejected Assange's bid to reopen his extradition case. "Assange is wanted for questioning in Sweden after two women accused him of sexual misconduct during a visit to the country in mid-2010." Assange came to prominence after WikiLeaks leaked the biggest cache of classified government information in U.S. history. Ecuador is part of an eight-nation group of leftist Latin American countries known as the Bolivarian Alliance for the Americas (ALBA for its Spanish initials). Along with Venezuela, ALBA countries have antagonized Western powers like the United States. Back in 2010, Ecuador offered to give Assange residency "without any problem and without any conditions." EFE reports that Patiño read the letter from Assange to reporters. Assange said that his country of birth, Australia, has said that it will not defend his rights. "Death threats, economic boycotts and the possibility that I was be turned over to U.S. authorities by Britain, Switzerland or Australia have made me seek political asylum and protection in Ecuador. That will permit me to continue my mission in a peaceful territory," Patiño said Assange wrote. Patiño said Assange says he persecuted for publishing truth that compromises the powerful. In a statement, the Embassy of Ecuador in London said Assange is now at the Embassy "under the protection of the Ecuadorian Government." It said that as "a signatory to the United Nations Universal Declaration for Human Rights" it has an "obligation to review all applications for asylum." "The decision to consider Mr Assange's application for protective asylum should in no way be interpreted as the Government of Ecuador interfering in the judicial processes of either the United Kingdom or Sweden." On its twitter account, WikiLeaks confirmed that Assange was at the embassy. In May, Julian Assange interviewed President Correa. He started with a question about the United States. Correa said he "loved and admired" the U.S. but he would not allow the U.S. to threaten the sovereignty of Ecuador. You can watch the whole 25-minute interview here.